Begin in the wine country with wine, add a passion for spirits and a drive for sustainability, and the result is Re:Find Distillery. Started in 2011 by Alex and Monica Villicana, Re:Find was born out of a crossover of these interests. Alex Villicana has been a winemaker in Paso Robles since 1993. During his more than twenty years as a winemaker, he noticed that the winemaking process resulted in a lot of leftover juice. According to Villicana, it is not uncommon for producers of Rhône varietals (Syrah, Grenache, Mourvèdre) to bleed a percentage of the free-run juice (resulting in rosé colored juice) from the red wine grapes before fermentation in order to concentrate the quality of the wine. As much as 30 to 40 percent of juice is lost when one bleeds out this fresh juice, resulting in the waste of a used byproduct from wineries. Villicana saw the amount of waste and, with a growing desire to be sustainable, began coming up with ideas of what he could do with the leftover juice. Instead of dumping it, he thought about making a traditional aged brandy, but found that it was too costly as it is necessary to age the brandy. He thought about pasteurizing the juice and selling it, but it was a challenge to set up the pasteurization process. Then, eight years ago, Villicana tried Ciroc Vodka, a grape-based vodka, and the idea was born to make vodka and gin from his leftover juice. He spent some time figuring out the logistics about how to make both wine and spirits legally. In the U.S., consumers are not allowed to home-distill and he was not able to experiment and see if it would be a feasible business. His research led him to realize that it would be a $100K investment. Now Villicana had to convince his wife. He took her to the distillery at St. George Spirits in Alameda, CA, and after touring the property, they were both convinced that it was worth the investment and the risk. One of the biggest challenges of producing both wine and spirits made from grapes is that harvest and distillation happen at the same time. Neither can be delayed. When the juice comes in, the rosé wine needs to be fermented and distilled right away so it does not spoil. Another challenge Villicana faced the first year was getting the spirits into the bottle fast enough. He decided to do all of the bottling by hand the first year, as it allows better control of the product, and has continued to bottle by hand ever since. The Villicana’s purchased their first 60-gallon still in 2011. They used their own juice as well as neighbors’ grapes. In the first year, they made 200 cases of vodka and gin and friends loved the products immediately. In the second year, limoncello was added to the lineup and cucumber vodka and whiskey were added the following year. A second 60-gallon still was purchased in 2013 and a 300-gallon still was purchased in 2015. Now they are making grappa and traditional single vineyard brandy, double distilled and aged in French oak, with grapes from well-known wineries like Turley, Saxum, Booker and Alta Colina. Five years after beginning, Villicana works with grapes from 16 wineries and 25,000 gallons of juice. Vodka: As grapes produce more glycerol than other products, the distilled spirit has a sweet, textural weight. And because they start with high-quality grapes as the base material and there is a clean fermentation, they do not have to filter the spirits before bottling. Cucumber Flavored Vodka: The cucumbers come from a farmer in Arroyo Grande. They juice all of the cucumbers and then mix with the alcohol in the final distillation. Limoncello: The recipe comes from the father of a friend. The most important thing is the type of lemon. Villicana gets Femminello Santa Teresa lemons from a specialty citrus grower an hour outside of Paso Robles. After harvesting between January and March, they use an old-fashioned potato peeler to zest the lemons. The zest is soaked in 95 percent alcohol, and after one month, when zest “snaps,” it is ready. They add simple syrup and distill four times. After sitting for 2 weeks, it is bottled unfiltered. The proof is kept high so that the limoncello can be mixed in cocktails, adding bright citrus notes and a little sweetness to the drinks. Whiskey: Collaborating with local brewers like Firestone Walker, BarrelHouse Brewing Company, and SLO Brewing Company, Villicana makes a grain-based whiskey (50 percent rye, 40 percent wheat, 10 percent barley), distilled and aged in small American oak barrels to accelerate aging and bottled unfiltered. 3. Be aware of expectations. The hardest lesson to learn was the rules. 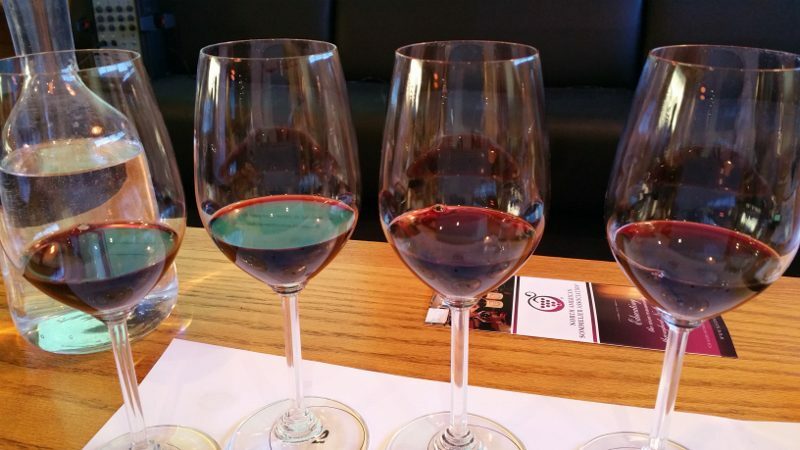 “Wine alcohol reporting is much easier than with spirits,” says Villicana. “With spirits, you have to make sure you are in total compliance, down to the smallest number. Understand the laws; they can be confusing. 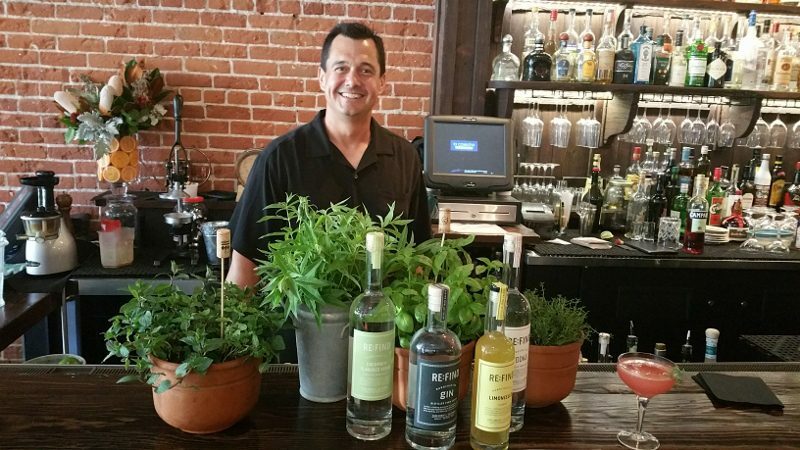 Don’t get into the business because you want to become the next Ketel One. This is agriculture, and you have to love it, love the cycle, and love harvest. If you do it small, it’s a passion project. Know what you want to do and do it for the right reasons. Clap basil leaves in your hand and place them in a cocktail shaker. Add remaining ingredients and shake. Add soda water to shaker to rinse the sides and strain into a Collins glass filled with ice. Garnish with fresh basil leaf. Muddle fresh mint in glass and fill glass with ice. Combine ingredients in cocktail shaker and shake. Pour over ice and garnish with a fresh mint sprig.